Sometimes it’s instructive to remind ourselves just how “different” the world of health care payments can be. Imagine a hypothetical board meeting at Starbucks Corporation where a newly hired CEO tells the board how he intends to increase same-store sales. He explains that it currently costs Starbucks $2.50 to deliver a small “skinny latte,” the company marks up its drinks 100%, and so customers pay $5 out of pocket for that latte. In turn, that 100% markup enables Starbucks to pay for business growth and provides for an adequate shareholder return. The new CEO then explains his new business model for growth: “Our stores will sell the latte for $5, but at the time of purchase we’ll collect only 50 cents. We’ll then submit a bill (claim) to a third party (insurance company) to receive the remaining $4.50 and, please be advised, it will take up to 100 days to get paid. About a third of the time we’ll have to resubmit our bill because it has been denied, and up to 10% of the time we will not get paid at all. 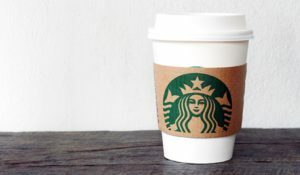 In addition, for full disclosure, while we expect to receive $5, the third party actually gets to decide what we are paid (fee schedule) for the latte.” How long do you think before that new CEO gets the boot? Is it any wonder that a healthcare service’s revenue cycle engine has to run at maximum efficiency? Take a look at a client testimonial.